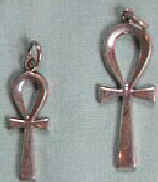 Silver Ankh: Represents the breath of life and is an image of the energy system of our being. It is a gateway to the stars. This Ankh is made in Egypt and is available in three sizes. Winged Ba: Is a bird with a human head, representing the soul. The winged Ba is made of silver. e" x 1 ½". Eye of Horus: This represents sacred form/geometry and the sacred teachings of the Ancient Egyptians. 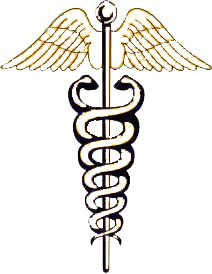 The Eye of Horus is the symbol for initiates of the ancient Egyptian teachings . This silver Eye of Horus is 1" x 1 d". Isis & Nefeteri: Isis is the "Maker of Eternity". She is the giver of life, resurrection and immortality. Approximate size of Isis & Nefeteri is 2" x 1"
To place an order please call 503-228-5683 or e-mail with your credit card to djedu@egyptianhealing.com We accept payment by visa, mastercard or check. You may send a check to Elements of Health Inc, PO Box 83126, Portland, OR 97283. Please add the Shipping charges from the table below. WebMasters@ Elements of Health. Last updated 12/17/06.